Eye exams for health are not just for people who notice changes in their vision, but eye exams are a key part of our overall health care. 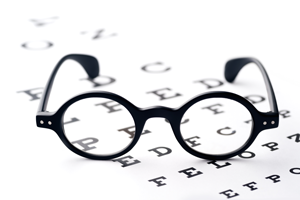 A comprehensive eye exam performed by a licensed eye doctor, or optometrist, is more than a simple visual screening. It’s an assessment of your ocular and overall health. The optometrists at 360eyecare.ca are experienced eye health professionals who check for signs of disease, vision disorders, and muscle imbalance, in addition to assessing and diagnosing visual acuity. Our aim is to help each patient attain optimum eye health and maximum vision potential. At 360 Eye Care, we provide comprehensive eye exams to patients as young as six months. We also encourage patients to bring their children in for regular ocular health assessments to monitor their eye health and ensure they can see to the best of their ability. Eye health is a life-long pursuit, which makes yearly or bi-yearly exams important for everyone, at all ages of life. As eye experts, we are trained to diagnose and treat eye conditions and diseases, as well as advise on vision correction. In fact, we take pride in the wide range of eyeglass and contacts we offer to patients. Getting the right lenses for visual optimization, and the right frames to suit your face is important. More and more, we are seeing patients opt for eyeglasses as a fashion statement. This trend toward glasses is great for the consumer because it means frame producers are making more styles to suit wider markets. And eyeglass wearers are buying and replacing their glasses more often in order to have more fashion and use options. Increased competition in the eyewear market means consumers are not limited in their choice of frames. Nineties nostalgia frames, geometric shapes, and smaller frames are entering the market. Bridge styles are changing as well, with manufacturers making double bridge and bridge-less frames in high-contrast solid color, tortoiseshell, thin acetate, and sustainable wood. Lenses are getting high-tech as well, with many patients opting for blue light blocking lenses that help them protect their retinas while staring as computers all day. Conveniently located in the Beaches area of Toronto, 360 Eye Care is neighbourhood multi-service eye health centre. We understand fashion and eyewear trends and how eyewear can be an important lifestyle statement. To this end, we carry a vast but curated selection of stylish eyeglasses, including handmade designer lenses. Whether your style is classic, trendy, or upscale mod, we can help you find the perfect frames to suit our perfect prescription. Drop in or give us a call today.